sometimes, because of some reasons, the Play store would not work properly. At that time, it is mandatory that deleting of that existing account of the play store. But, some android users does not any idea regarding how to delete play store account. So, for that kind of users, here we will discuss a simple trick to deleting it. 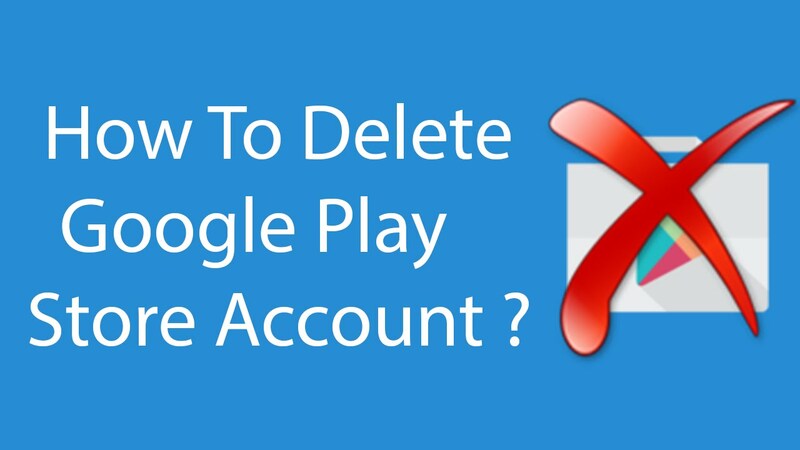 How to Delete Play Store Account ? Now, we will be discussing the method of deleting the play store account. By using which, you can easily remove the account that you want to remove from your android device. So, now look at that simple trick and keep deleting the unwanted play store account. First of all, unlock your android device. Open the menu and go to the settings of the device. After going there, go to the Accounts option under the tag of Personal. Here, now tap on the option of Google. It will show you the list of all the accounts that you have opened on your device. Here, now tap on that existing account on which the play store was opened from the device. Here, you should see the three dotted points at the right top corner of the display. Now, tap on it. It will open a pop-up having an option of remove account. To delete or remove the play store account, tap on that option. Once you have followed above process properly, you are done.We hope that how to delete play store account discussion should help you to do it. If you are facing any issue with this, feel free to share your problem in the comment section below.